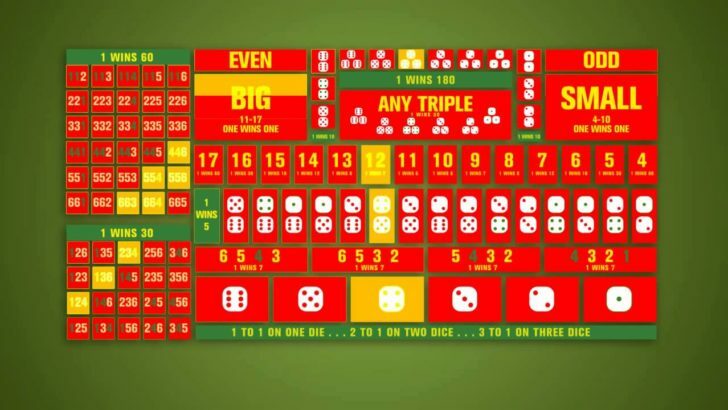 If you enjoy playing games that are based upon dice and you are looking for something a little bit different then Sic Bo may well be the answer. The game has its origins in ancient China but in recent years, it has become very popular in casino around the world. From Las Vegas to London to Macau, you will find people playing this exciting game. Of course, you can also play it online, and this too is hugely enjoyable. The object of the game is very simple, all you have to do is bet on the outcome of a roll of three dice. As three dice are used, there are many betting options, and this makes the game more interesting and far more exciting. As you get to know the game, you will discover that there are many more betting options. At first, the Sic Bo board can look a little bit intimidating, but you will soon realise that while it is crowded, it is very straightforward. All you have to do is place your chips on the relevant part of the betting area and then click on ‘Roll’ to set the game in motion. You will then win payouts according to the bets you have placed. You will notice that there is also a small history window displaying the results of the last few rolls. You can use this to spot trends and help put together a betting strategy. Sic Bo has been enjoyed for hundreds of years and it looks as if it will be enjoyed for many more years to come. Try it today and see what the dice hold for you.